Fantasy football is all about value. It’s not just who you draft but where you draft them. Jimmy Graham was a great tight end last year, but he was even better as an 11th round pick. 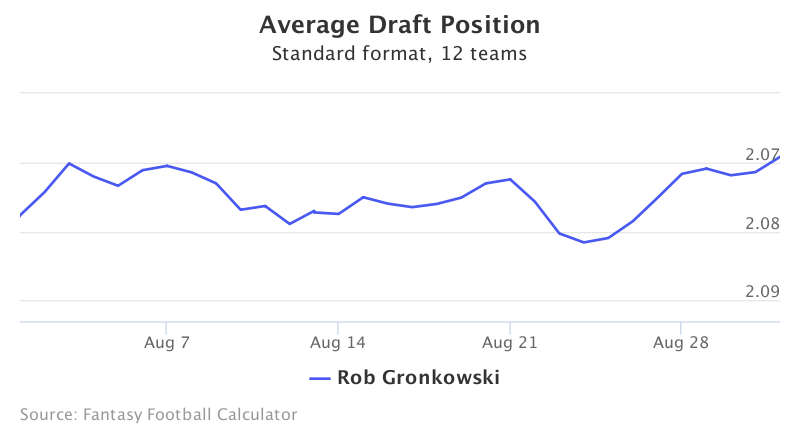 Rob Gronkowski is the first tight end off the board with an ADP among the top 20 overall picks. So how can he possibly be undervalued? 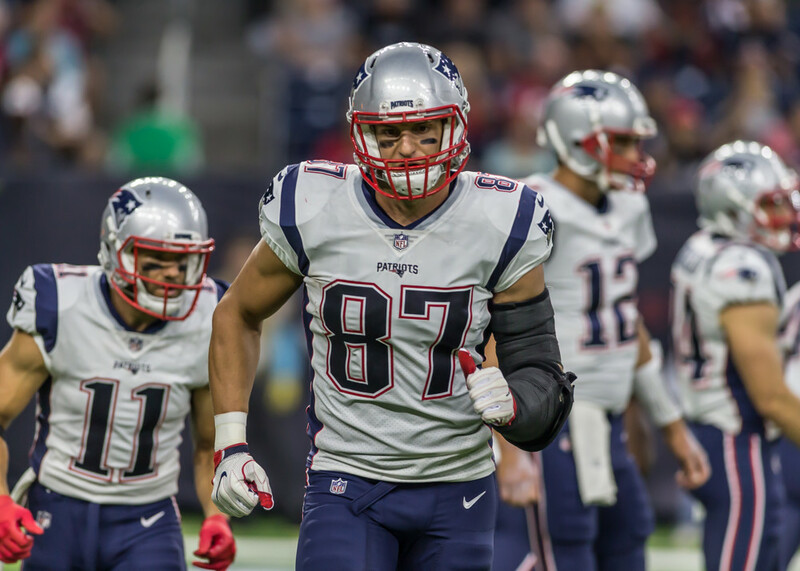 Gronk has been the most productive tight end in history when on the field. He scores an incredible 0.77 TDs per game and, in true Gronk fashion, averages 69 yards a game. That’s a 16-game average of 1100 yards and 12 TDs, the equivalent of a top ten WR you get to use at TE. There’s no one like him, and he could be more valuable than ever with Julian Edelman out for the year. Gronkowski takes a lot of hits and has a decent chance of missing some time, but he tends to play through the pain and is so valuable when he plays that he’s worth the risk, especially with Dwayne Allen late as a valuable handcuff. Reports out of New England are that Gronk has adopted Tom Brady’s diet and training plan and is as healthy as ever. Take him and don’t look back. 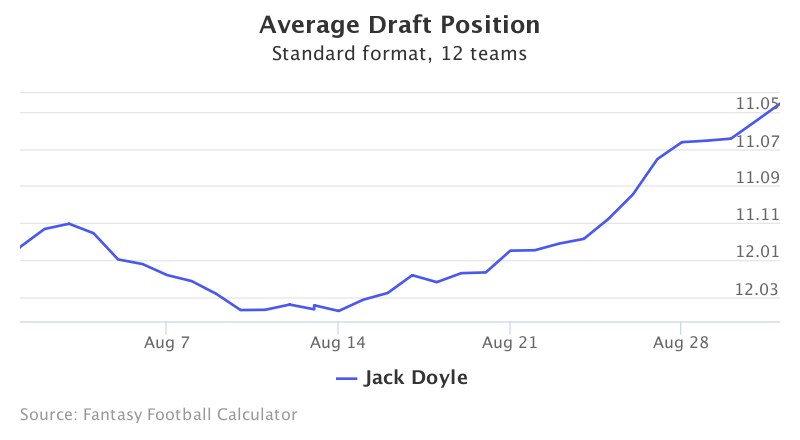 Jack Doyle is a name no one outside of Indianapolis knew last fall, and he’s still completely off the radar, but that may change soon. Doyle and Dwayne Allen combined for 990 yards and 11 touchdowns last season, and Allen and Coby Fleener had 1174 yards and 16 TDs in 2014. Andrew Luck throws frequently to his tight ends in this Rob Chudzinski offense, and with Allen and Fleener now elsewhere, Doyle could be ready to breakout. He averaged almost six targets a game as the starter and should see an even bigger role in 2017. He’s a name that may surprise your league mates, but you’ll be the one laughing in December. Jimmy Graham is Old Faithful, but many are letting him slide in drafts as we begin to wonder when the magic will run out. 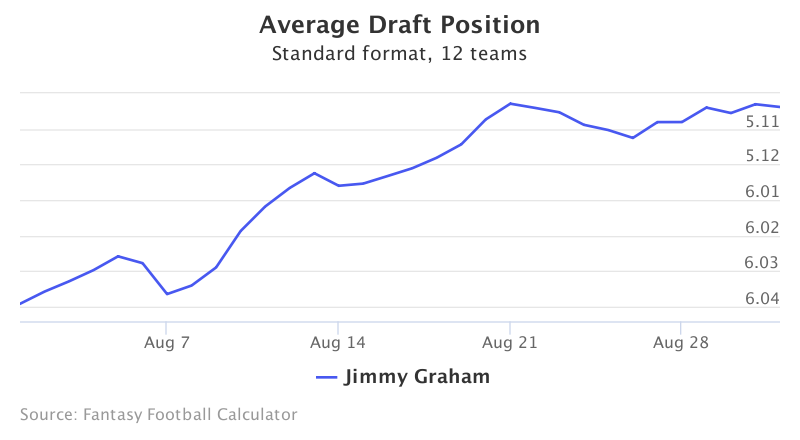 Graham has been one of the safest bets in fantasy football since he broke onto the scene in 2011. He’s been a top three fantasy tight end every season except 2015, when his year was cut short to injury. Graham has established himself as a go-to redzone threat for Seattle and looks ready for another big season. He’s going as TE5 but is a good bet for another season safely in the top three. 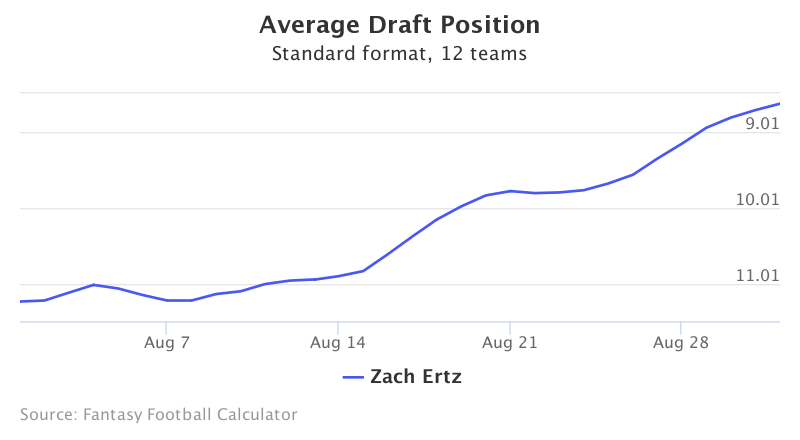 When listing top tight ends, Zach Ertz is not a name that comes quickly to mind, but he’s finished among the top 12 TE three straight seasons. Still he’s going as just the tenth name off the board. Promising young quarterback Carson Wentz will enjoy new targets Torrey Smith and Alshon Jeffery, but he’s going to look frequently for a familiar face in Ertz. Ertz led the Eagles with 78 receptions last year and has an excellent chance to lead the team in catches again. He averaged eight targets a game in the second half, a pace that could push him well over 80 receptions and perhaps even to 1000 yards. He could be a great value if you wait at tight end.